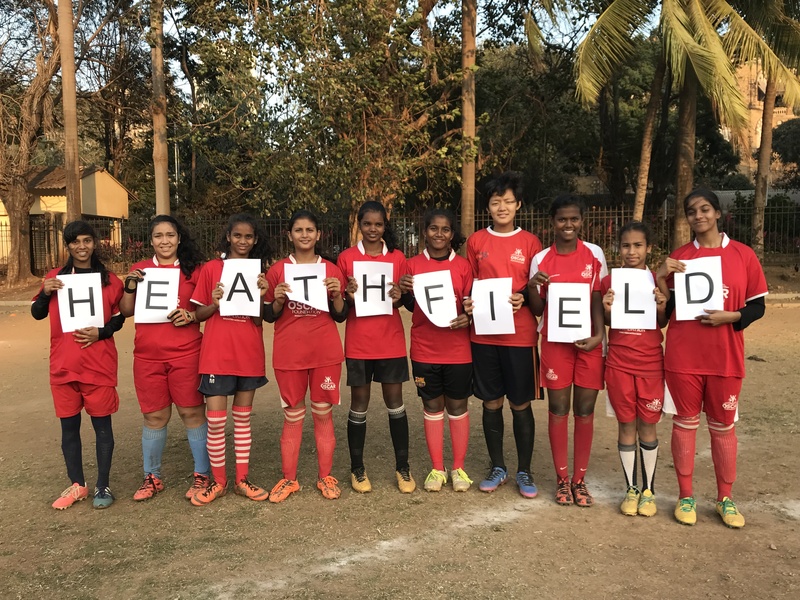 Staff and students at Heathfield School in Ascot helped raise funds to fly 15 girls from Mumbai and rural Jharkhand in India to the UK for a fortnight’s sport and education tour. The initiative was part of the Kick Like a Girl campaign, set up by the Oscar Foundation, a charity spanning the UK and India which aims to encourage gender equality in underprivileged communities through football and education. Heathfield was one of six British schools funding and hosting autumnal tour. A large fundraising effort was made to raise the £5000 needed to bring the project to fruition. Heathfield’s director of pastoral, Kathryn de Ferrer, met the girls in India in the early days of the project and was “captivated by their overwhelmingly positive mindset and bubbly enthusiasm”. Back in the UK, Kathryn ran 100km to raise money and the Heathfield girls boosted sponsorship by matching Kathryn’s efforts – their four school houses ran 25km each, collectively raising £2,000. Further fundraising initiatives were led by pupils Kiki Severn and Minty Clarry, who became OSCAR International Young Leaders and ambassadors for the cause. The money raised not only helped to fund the Kick Like a Girl tour, but also contributed to an ongoing educational programme targeted at Indian school children, enabling them to pass on skills and learning to their community. During their UK tour, the under-17 Kick Like a Girl team not only had the chance to showcase their football talents in a series of friendly matches, but also took part in academic lessons and sports, and enjoyed sightseeing tours of British landmarks and attractions. OSCAR was founded by 29 year old Ashok Rathod, whose vision is to “educate through sport and create young leaders for the future” by working with families from poor communities around Mumbai, encouraging parents to allow girls to attend school. Tour organiser, Lucinda Sowerbutts, said: “The children selected for the OSCAR tour came from very poor, uneducated families. Some had very harrowing personal stories, and live in basic houses with no running water or bathroom; there are 100 toilets for 60,000 people. They lead very tough lives.